Agar ye team khelti hai to champianship pakka. Best balanced team in both (batting&bowling)department. 8players can bowl and 9 can bat very well. (If wicket is helpful for spinner then pick up lomror at the place of kulkarni ,otherwise no change . 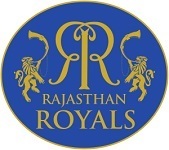 Best team combination for rajasthan_7 bowlers and 7 batsmen.